Assurant, the insurance company that T-Mobile uses for its subscribers who want to protect a new handset purchase, is going to be changing its rates next year. The changes, which take effect on March 1st, lower rates for cheaper devices while raising them for more expensive smartphones. JUMP! with Premium Handset Protection insurance or Premium Handset Protection with Lookout Mobile Security, starts now at $10 per month for Tier 1,2 and 3 phones. Starting March 1st, the monthly premiums for those models drops to $9. Tier 1 phones have a $20 deductible and include featurephones and entry level smartphones like the Nokia Lumia 530. Tier 2 phones carry a $50 deductible and include the Nokia Lumia 635 and the Samsung Galaxy Grand Prime. Tier 3 phones have a $100 deductible and include models like the ZTE ZMax. Tier 4 and Tier 5 phones will both face a 20% hike in their monthly premiums starting March 1st. Currently $10 a month, both will cost $12 monthly starting on that date. Tier 4 phones have a $150 deductible and include models like the 16GB Apple iPhone 5c and the Samsung Galaxy S III. Tier 5 is the top tier and the deductible on these phones is $175. In this group are current handsets like the Apple iPhone 6s, Apple iPhone 6s Plus, Samsung Galaxy S6 and the HTC One M9. The insurance covers accidental damage (including liquid damage), loss, theft and malfunctions. If you opt for the insurance with Lookout Mobile Security, you can use the Lookout.com website to find a lost or stolen phone, sound a loud alarm, and view a picture that was taken when someone tried to access your handset. It also protects your phone from malware, backs up your contacts and photos, and alerts you to suspicious activity that could mean that your phone is stolen. 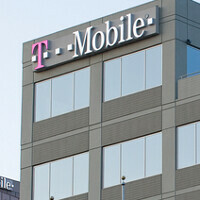 T-Mobile allows customers 14 days from the day that they purchase a new phone, to have it insured. Alan F, does this affect current subscribers and new subscribers? Is anyone grandfathered into the lower price? considering its assurant and not tmobile the answer will be a big fat no. if its not well give yourself a pat on your back. Every time I get a new phone I ponder the idea of adding insurance to it. Then I quickly come to my senses and remember what a scam it is. Just do a web search for anything like "phone insurance is a scam" and you will find many articles showing how much of a ripoff it is, with Assurant being the main culprit. Just consider the Galaxy Grand Prime. It's selling for $190 right now (when on special you can get if for around $130). They are asking for $9/month plus $50 deductible. So to keep your phone insured for the two years of your EIP plan, you will be paying 24x9=$216 just to have insurance. If you actually have to USE the insurance, the deductible will bring your cost up to $266. So you're basically tripling the cost of the phone. Smart thing to do is just to use that money first to buy a protective case and a tempered glass screen protector (less than $20 total on Amazon) and save what you would've paid monthly for insurance in case you ever break your phone. If you don't break it, after 2 years you will have saved over $200, enough to buy Grand Prime level phone or put down a nice down payment for a better one. And if you MUST get insurance because for some reason there's a high chance you will break your phone, then just buy a SquareTrade warranty. Their most expensive one (for even the most expensive phones) is just $100 for two years and the deductible is just $75. The only negative compared to the carrier insurance is that you don't get theft/loss protection. As plausible as it sounds, how about when the phone is stolen or lost? Does the "tempered glass" and "rugged case" protect against that? Obviously not, unless you lost your phone in the woods and then maybe that protection would help it survive until you found it. I suggest keeping a better eye on the phone, and not providing thieves an easy target. If that doesn't sound good, then pony up for the insurance. For a phone around 200 dollars, yeah, doesn't make sense, but phones at 400 plus, makes a huge difference. I pay $10/month for insurance on mine, $100 deductible, also gives me a 2 yr warranty, for manufacturers defects. Even after 13 months, so me paying them $130 plus the $100 detectable, I've paid $230 for a brand new Note 5 or Galaxy S6, even two years later if I were to purchase one from eBay/Craigslist/swappa, a note 4 is around $245. Plus I have peace of mind if it stops working on its own, I can get a warranty [return] working device. With these new rates, you will pay 175 + 24*12 = $463 over two years if you use the deductible once. Believe me, you can get a brand new phone, released 6-12 months ago, for less or much less than that. Then again, I'm on Verizon who uses Asurion. Id get insurance if I was leasing a phone. I wouldn't want to fork out the payoff for the phone and have to buy another at the same time. At least for a premium one anyway. I pay my phones outright, so I don't have that problem. att is raising their rates by $1 also. but for all tiers. Is there something I'm missing with this shoddy Assurant business? If you're paying your deductible for the phone each month, shouldn't those months of paid allowance go towards your deductible cost? Meaning... You pay 8 months of your deductible (which is $96.00), shouldn't that be deducted from the deductible base rate of your refurbished phone? Instead, they still make you shell out $175.00, regardless, if you have a top tier phone. when you get in a car accident do they fix it for free? no there's a deductible because thats the way insurance works. Yes, but as per experience a vehicle deductible might be a couple hundred dollars. Let's say you have a $500 deductible on a $20,000 car. That's 2.5% of the car price. Now let's compare to a $600 phone where the deductible is $175. That's 29% of the car price, more than 10 times the percentage of car insurance. Not to mention that in NY where insurance rates are insane, monthly rate is about $150. For a $20,000 car that is 0.75% of the car price. For a $600 phone, $12 is 2%, about 3 times as much as a car. Not as bad as the deductible number, but still sounds like a ripoff to me. So when the deductibles for phone repairs go down to somewhere around $20-30, then we can talk. i wasnt saying the deductibles were reasonable just stating thats why they exist. your example is a good one but its missing the fact that running a cell phone insurance company isnt much less expensive than running any other insurance company. they still need the same websites, call centers, pamphlets, etc. so technically the cost of running the business is a much higher compared to the premiums and deductibles that they receive. Yes, but last time I remember a vehicle deductible might be a couple hundred dollars. Let's say you have a $500 deductible on a $20,000 car. That's 2.5% of the car price. Now let's compare to a $600 phone where the deductible is $175. That's 29% of the car price, more than 10 times the percentage of car insurance. Sounds like a ripoff to me. So when the deductibles for phone repairs go down to somewhere around $20-30, then we can talk. This insurance company has been known to rip consumers off for some time now. JOHN LEGERE if your reading this find T-Mobile another insurance carrier. No one like money hungry rip off insurance companies. Then again - is T-MOBILE profiting with this insurance increase?